When Adam and Eve committed that first sin against God, they hid when they heard him coming. If you could have seen them crouching in the bushes, would you have laughed at them? Probably not. You know exactly what they were feeling, because you’ve been there—shame, fear, rationalization, and mutual blaming. When you know someone in your family or church has been rebelling, does that make you despise them? I hope not. You’ve rebelled enough yourself. Don’t judge other sinners. Restore. The Bible says, “If someone is caught in a sin, you who are spiritual should restore him gently” (Galatians 6:1). Your church is a support network for you. But it is also a search-and-rescue team, and you’re part of it. You have not only God’s permission to speak for him; you have his command and plea to do so. When continual, habitual sin takes over people’s lives and destroys their relationship with God, don’t turn away. Don’t condemn. Don’t laugh. Don’t feel superior. Don’t let people hide from their Savior. Only in Jesus will people ever find relief from the guilt in their souls. God’s grace is his unmerited and unlimited favor for those who are truly his. It’s his relentless determination to let nothing stand in the way of his love for his children. 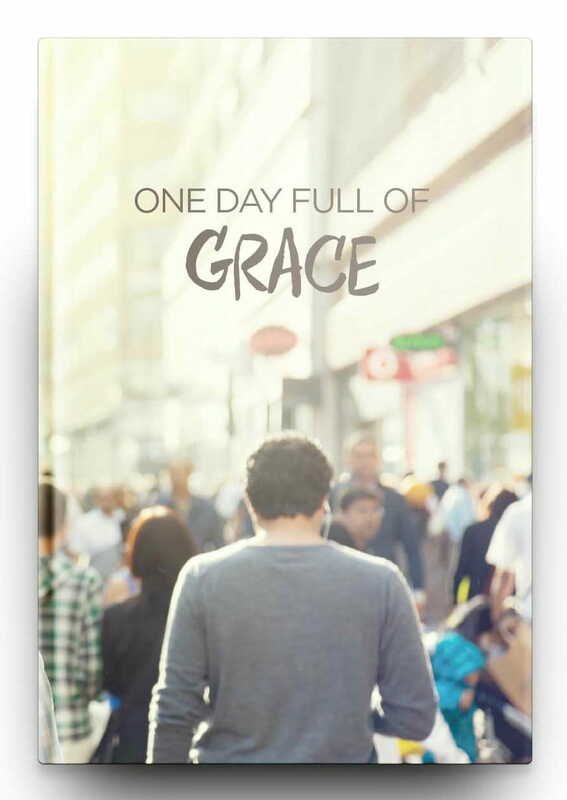 Throughout One Day Full of Grace is woven the story of God’s great love—as it’s shown to many in the Bible, as it’s displayed in the author’s life and family, and how it’s a part of each Christian’s life. You’ll learn how you can ﬁll your life with God’s goodness and mercy each and every day.